A unique international event, the Atelier for Young Festival Managers, took place in Ljubljana from 14th October until 21 October. 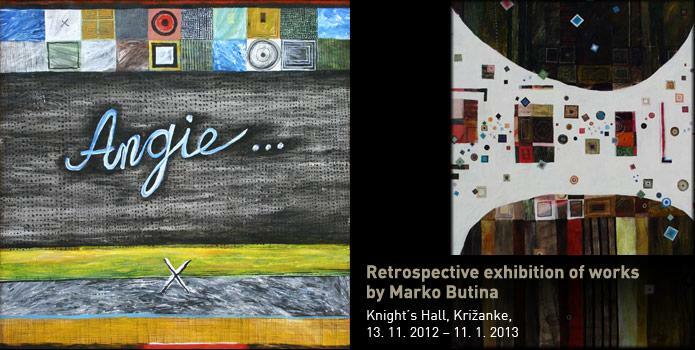 On Monday, November 12, the opening of the Retrospective exhibition of works by Marko Butina took place in Knight’s Hall, Križanke. After a successful beginning we are already anxious to experience more. The following concert will be performed by Anemos Quintet on November 28. If you missed some event or want to relieve it see video clips of the 2012 Ljubljana Festival events. Become a Club member for free and seize the advantages. supported by the Municipality of Ljubljana. The honorary sponsor of the Ljubljana Festival 2012 is Mr Zoran Janković, the Mayor of the Municipality of Ljubljana.